I'm making an official change in scheduling. Book winners will be announced on Tuesdays from now on and the book drawings will be open until Monday nights. =] This will help me not feel so perpetually behind--especially now that our weekends seem to be fuller than they once were. It's a treat to introduce you to this week's author. I met Christa through Exemplify, where we're both part of the team. I'm so thankful for Exemplify! Christa Allan is the mother of five adult children, a grandmother of three, and a teacher of high school English. She and her husband Ken live in Abita Springs, Louisiana, where they and their three cats enjoy their time playing golf [not the cats] and dodging hurricanes. 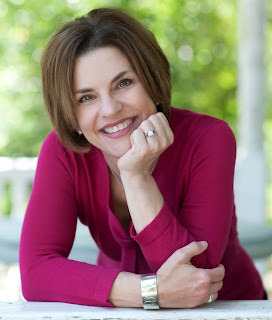 She's written for Chicken Soup, Cup of Comfort, and other anthologies. Christa contributes monthly to the ezines Afictionado and Exemplify. 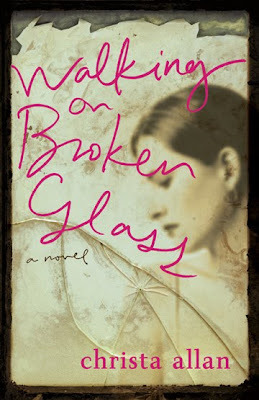 Walking on Broken Glass is her debut women's fiction, published by Abingdon Press. You can find Christa online at www.christaallan.com and her blog. Leah Thornton’s life, like her Southern Living home, has great curb appeal. But a paralyzing encounter with a can of frozen apple juice in the supermarket shatters the façade, forcing her to admit that all is not as it appears. When her best friend gets in Leah’s face about her refusal to deal with her life, Leah is forced to make an agonizing decision. Can she sacrifice what she wants to get what she needs? Joy, sadness, and pain converge, testing Leah’s commitment to her marriage, her motherhood, and her faith. Christa is giving away a copy of Walking on Broken Glass. To be entered in the book giveaway, leave a comment and check back next Tuesday, March 2, to see if you've won. You can enter twice--once on each post in this spotlight. If you want to guarantee that you're notified if you win, then leave your email address in the comment, otherwise, you can just check back and email me through the button in my sidebar. Sounds like an intriguing book! I can name a few people (women) who would fit this scenario. Would be a great book to learn how to approach them if directed to by the Lord. Please enter me. Thank you. this book is on my 'wish list.' thanks for the opportunity to read it. Christa's book is at the top of my wish list. Thank you for the giveaway, Patty.